Happy Tuesday! Last week I mentioned that I had Spring Break on my mind (it's SO close y'all), especially since we're headed to the beach for a few days. As soon as we booked our trip I started planning out my outfits. I know, I know... y'all probably think I'm crazy, but I always plan my "vacation outfits" out way ahead of time. I usually like to get a few new pieces to take with me, and planning allows me to buy a little here and there instead of buying everything all at once. Sure I'm not the only one that does this? 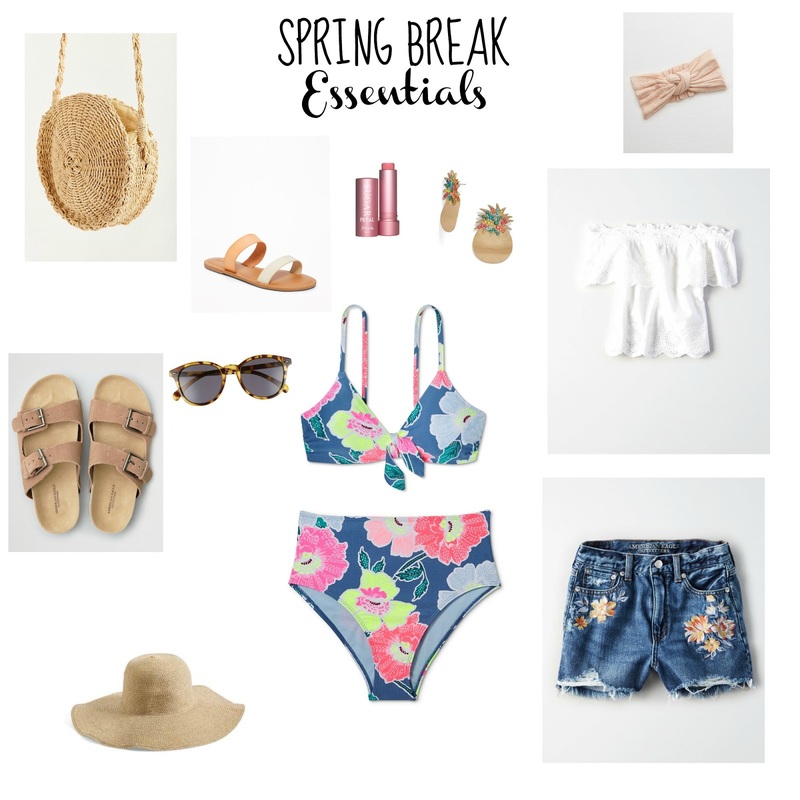 Since I've been spending time planning my outfits, I thought I'd share some "Spring Break Essentials." Although all of these pieces will be perfect for a Spring Break vacation, I will wear and use them all summer long at home too.